DESCRIPTION This large 2 storey home is ideal for a growing family! Located on a very sought-after street this home offer almost 3000 sq ft of living space, 5 bedrooms and 5 bathrooms! The welcoming main floor opens to a large living room, mudroom and cozy family room or dining space with access to the 375 sqft deck with gas lines for BBQ & patio heater. Entertaining and cooking is a joy in this well appointed upgraded kitchen featuring stainless steel appliances and an eat up island. Upstairs, find the perfect retreat in the master bedroom with vaulted ceiling, his/her's closet & a 5pce ensuite with steam shower. There are 3 additional large bdrms and a functional laundry room. The basement is fully developed, complete with a bedroom, bathroom and wet bar. Additional upgrades include new landscaping and stone work complete with an irrigation system. Back yard is very private with mature trees & no back neighbours! Home for sale at 1134 Lake Christina WY Se Calgary, Alberts T2J 2R3. 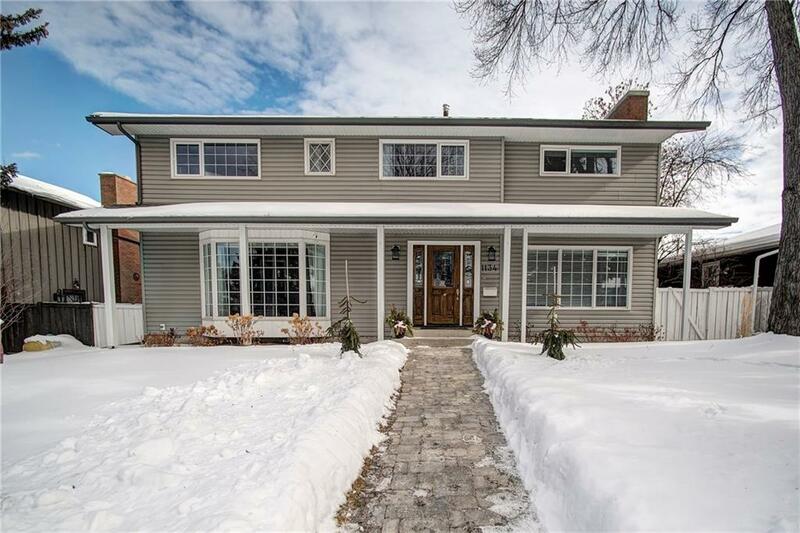 Description: The home at 1134 Lake Christina WY Se Calgary, Alberta T2J 2R3 with the MLS® Number C4229353 is currently listed at $739,000.